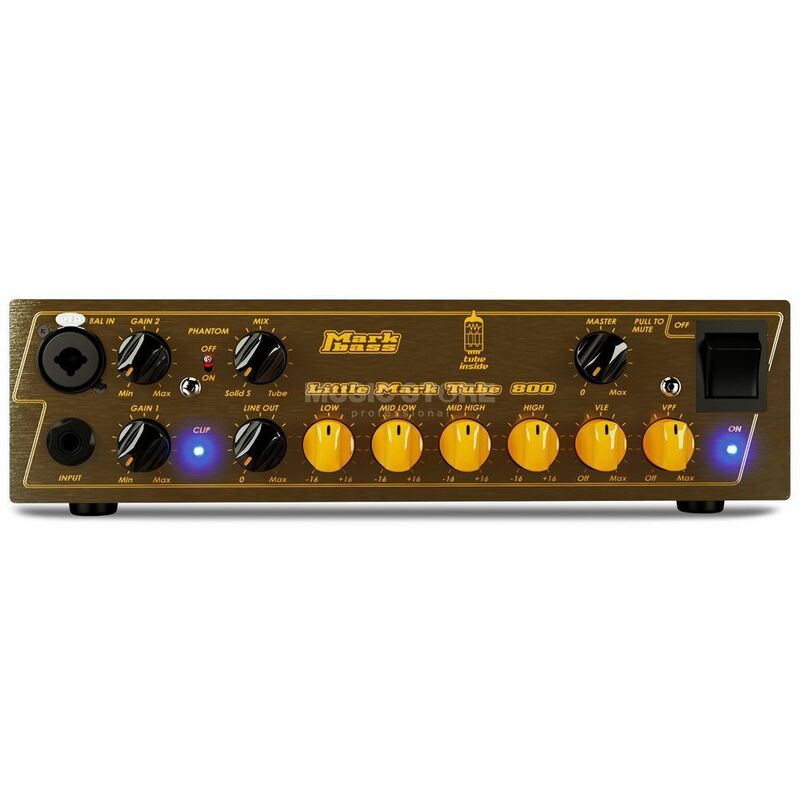 Markbass Little Mark Tube 800 Bass Guitar Valve Amplifier Head with 800 Watts into 4 Ohms, 4-Band EQ, Variable Pre-Shape Filter and Vintage Loudspeaker Emulator. The two bendable preamps of the Markbass Little Mark Tube 800 give you the warmth and richness of a tube preamp, the clean attack of a solid state preamp, or a mix of both. I got the impression that the amplifier Markbass Little Mark Tube 800 as almost perfect, and, above all, the concert apparatus meets all requirements of sound quality, power amplification, ease of use, availability of critically needed options and ergonomics. Use of the equipment is feeling Markbass careful forethought many redundant, seemingly small things, but the devil is in the details normally. Reread the first paragraph, and you may still have a better understanding of what I had in mind. Tube 800 - a good excuse to forget about the endless doubts about the quality of sound on the site tomorrow: Your best sound will always be with you, focus on the game!